Incontri Musicali musicians visited Ashley Hall, Meeting Street Academy and Stono Elementary schools. 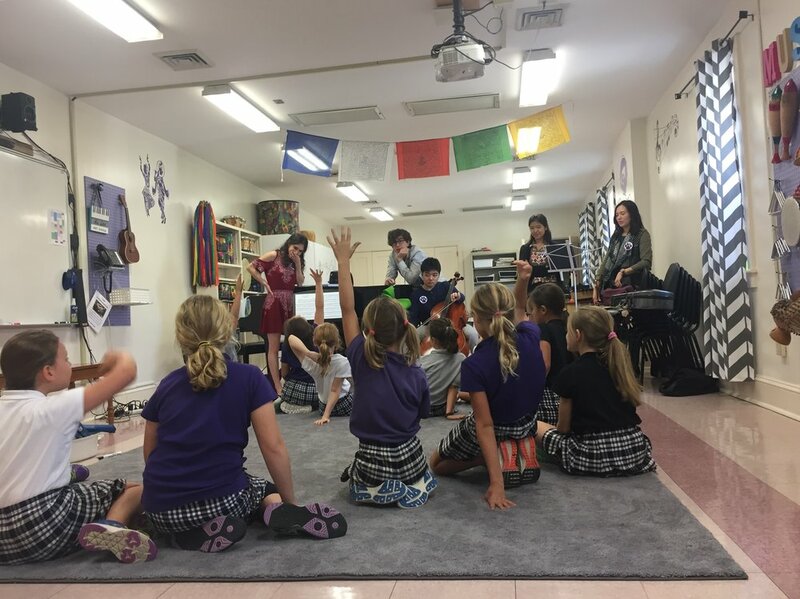 They did interactive presentation with younger audiences and taught master classes for middle and upper school strings students. The after school strings classes play "Freeze Dance" at Meeting Street Academy.